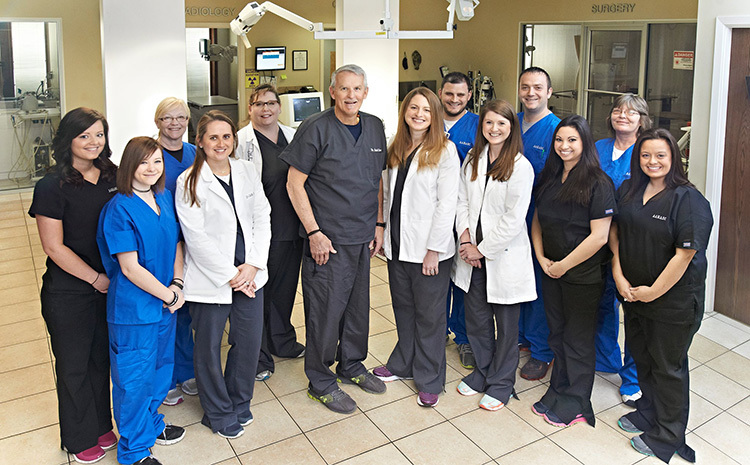 A full service animal health and surgery center located in Bossier City, Louisiana. Magnetic Resonance Imaging (MRI) is the newest imaging modality at Airline Animal Health and Surgery Center. Our pet specific, open air MRI uses a 0.3 Tesla magnet to safely and effectively create images of structures and organs with clear resolution. Clients and patients now have access to modern expert imaging without having to travel long distances. Computerized Tomography (CT) has been offered by Airline Animal Health and Surgery Center since 2013. A NewTom 5G cone beam CT scanner is an integral part of our diagnostic imaging. Common uses for CT include: Dental scans, Musculoskeletal conditions ie. OCD, FMC, Planning complex fracture repair, IVDD (Intervertebral Disc Disease) / Spinal Cord Compression, Vascular studies, Metastatic cancer evaluation and 3-D information for prosthetics. Fluoroscopy is an imaging technique used in veterinary medicine and surgery to obtain real-time images of a pet through the use of a fluoroscope. Fluoroscopy has tremendous advantages over invasive surgical procedures in that it allows for precise placement of orthopedic implants using a small incision. This results in substantially reduced recovery time and risk of infection. 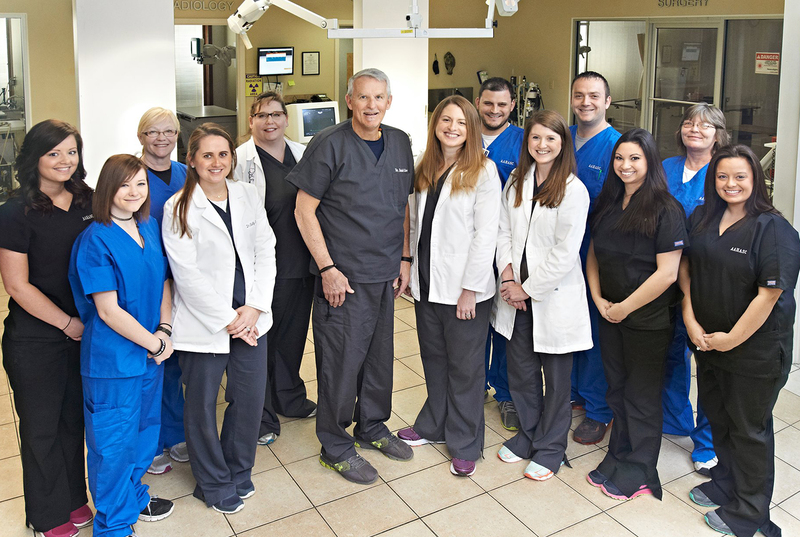 The veterinarians and staff at Airline Animal Health and Surgery Center, LLC are committed to provide incomparable client service while offering superior and progressive veterinary care. The foundation of our practice is a combination of the talents and skills that each person on staff lends to the profession in service to our patients. We are devoted to our work, and we dedicate ourselves to improve the health of our patients with a personal interest, excellent care and cutting-edge technology. Promoting and achieving the well-being of pets is our foremost objective. We fervently encourage and actively practice preventive medicine for our patients as well as educate our clientele in their role to insure a long and healthy life for their pets. Our mission is to be compassionate and understanding in a manner that always represents our most sincere interest for the health and well being of each pet. Dr. Olson is better than I ever hoped. We get fantastic service for our two Vizslas. The staff are very helpful and friendly! Best animal hospital in the area! Doctors and staff are knowledgeable and are very caring and compassionate. Would not trust anyone else with my pets. I love this place.. They helped my baby get back to his lil crazy self. Thank you for all you do. I drive from Stonewall to use this vet!! They are so amazing and care for my babies as if they were their own!!! So awesome! 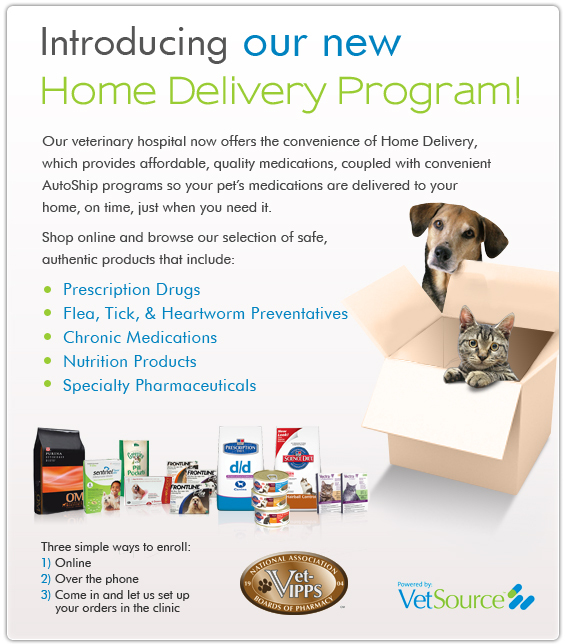 Thorough, caring, and trusted when it comes to our pets' healthcare! Absolutely amazing! Dr. David was so sweet and understanding as we made some painful decisions with our very sick pet. She made us feel like we were making the right choice, provided other options, and above all else didn't judge our decision. We will absolutely be back and refer everyone we know!